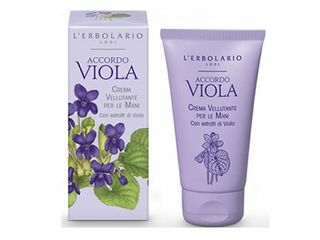 Accordo Viola Bath Foam leaves skin fresh and fragrant. Rice and Oat Protein protect the skin while providing gentle yet effective cleansing. Heirs of a century-old tradition, today, like many years ago, they bring to your home a note of sophisticated good taste. 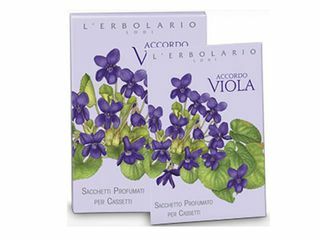 Drawer perfumed sachets impart your fragrance of choice, as a subtle undertone, to all you wear. 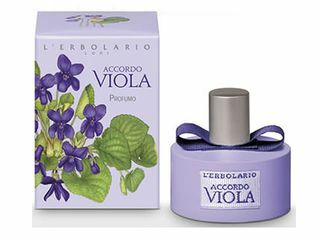 L’Erbolario Accordo Viola Perfume is flowery and fresh with top notes of bergamot oil, lemon essence and nectarine; a powdery floral heart with violet and pansy leaves, heliotrope and jasmine; and a vanilla and sandalwood dry down. 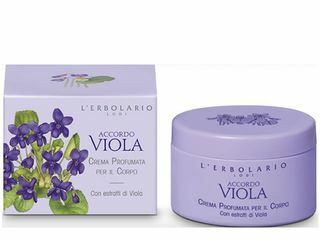 Accordo Viola Body Cream is enhanced by the extracts of two types of Violet (Viola odorata and Viola tricolor, or Pansy) and the anti-aging properties of Cotton Oil, Babassu Oil, Olive Oil and Vitamin E.
Is immediately absorbed, forming an invisible film which protects them from external aggression like cold, wind, water and detergents. Leaves skin looking younger and more attractive in a short time. 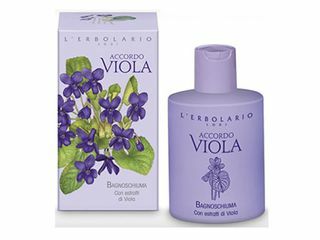 Lemon extract promotes the feeling of cleanliness and lightens the skin color.